Odds are, if you're a synchronized skating fan like ourselves, you know the Hockette's reputation precedes them. Ann Arbor Hockettes were the very first synchronized skating team, formed by Dr. Richard Porter in 1956, and the Dr. Porter Classic competition is held right in their home town of Ann Arbor, MI. They've certainly created a dynasty over the years! Today's spotlight takes a look at the Junior team, which had the opportunity to compete internationally in Canada and Scotland this year! 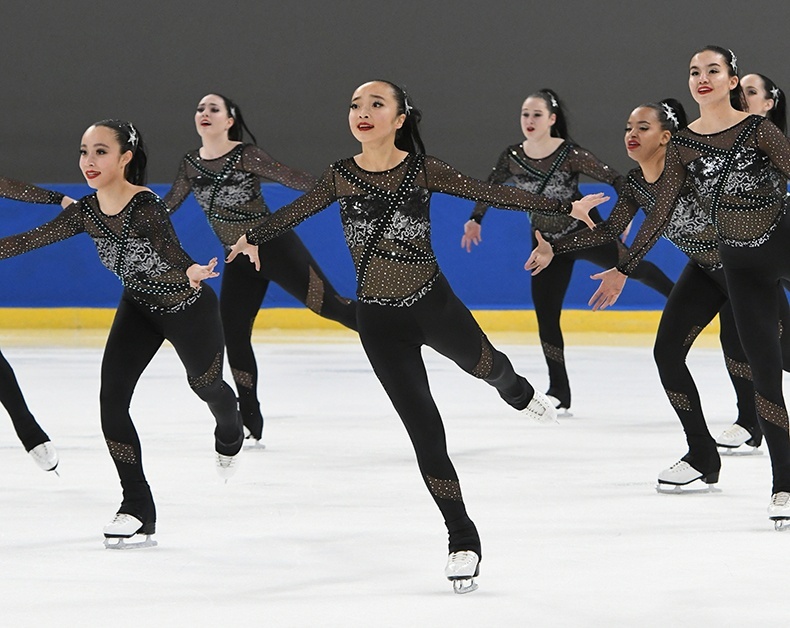 They ended their 2017-2018 season with a 6th place performance at the US Synchronized Skating Nationals. We asked Coach Erin Donovan and their Account Manager at The Line Up, Megan, about the inspiration behind both their short and long programs this year. "They always come up with fun and different themes," said Megan. This year was no different! 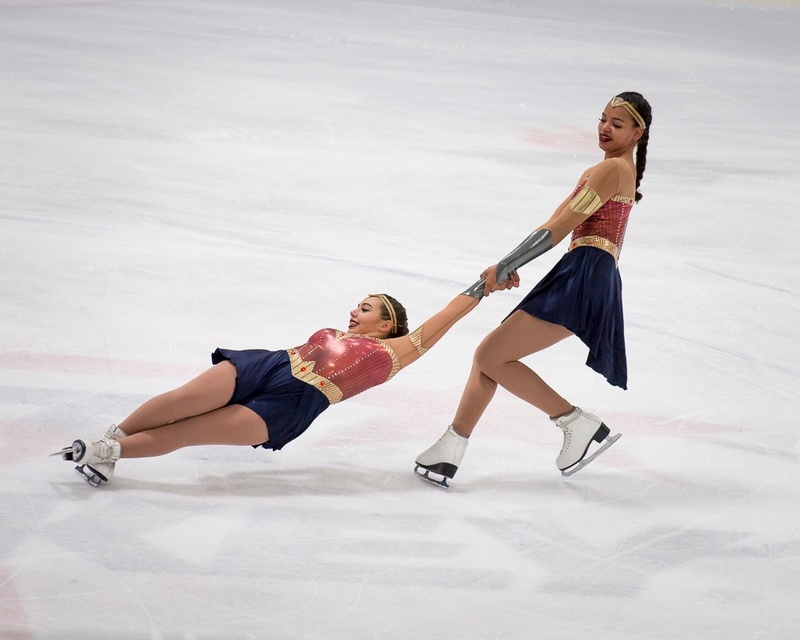 Both of the Junior team's programs were inspired by strong women: Wonder Woman and Cher. 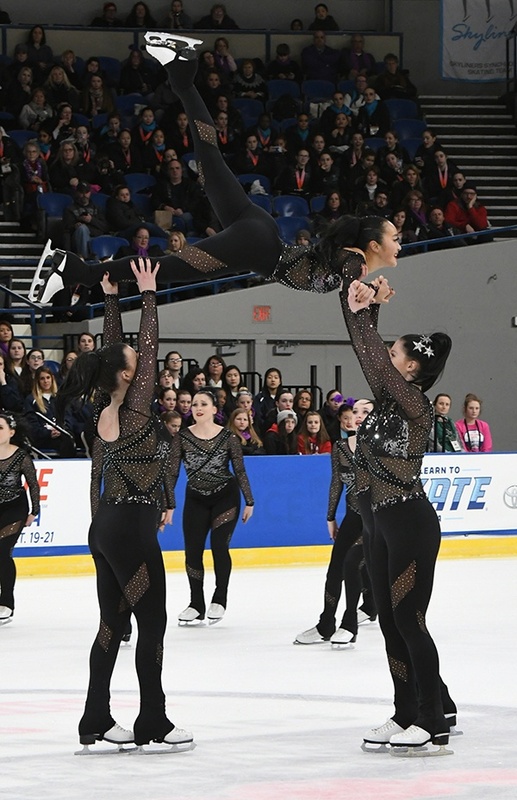 "For the choreography we tried to incorporate iconic moves or poses as well as capture the overall spirit of the strong women who inspired our programs," Erin explained. Check out a video of their performance and more info on each routine below! 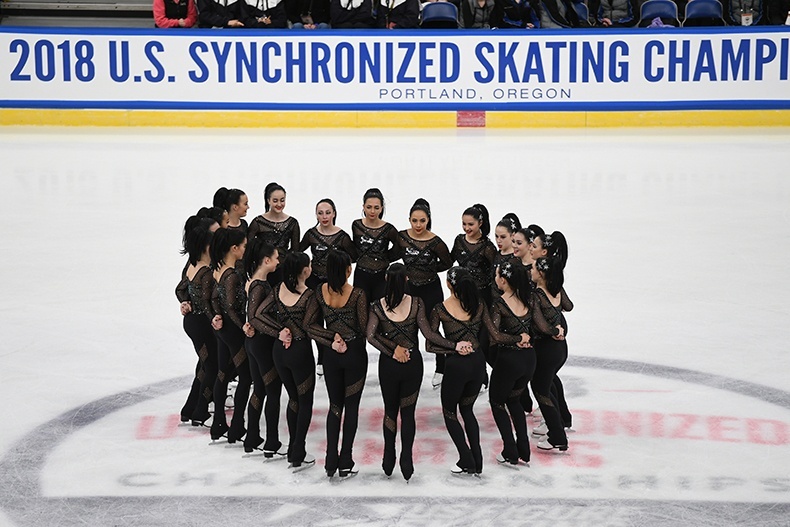 For their free skate music, the team compiled a medley of Cher songs that "spoke to the idea of strong women," Erin said. Their unique skating costume was inspired by the black body suit she wore in the Turn Back Time concert video. The Hockette's body suit was typical of something the pop superstar would wear: plenty of black, mesh cutouts, and sparkle. Body suits are a unique look that we don't see very often in the skating world, but they've been slowly making a presence on a few brave skaters the last couple of years (like Marigold IceUnity's matador themed look at Worlds last year! ). It strays from a traditional flowing skirt that emphasizes speed, and instead draws attention to the leg and footwork. It's a bold look that paid off well for this team! 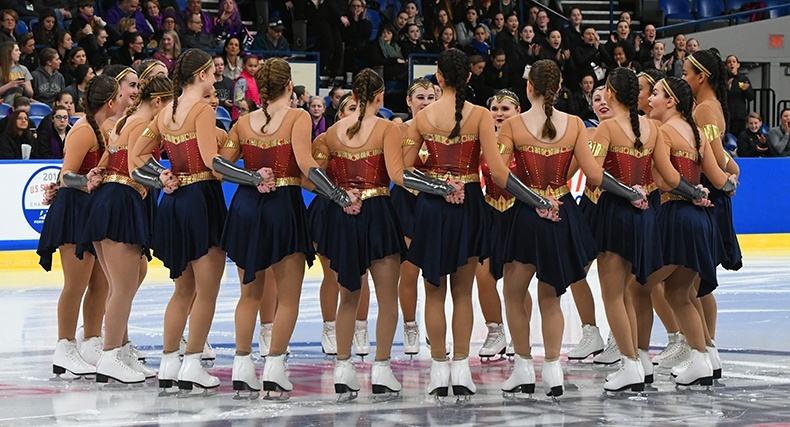 The team's short program had a Wonder Woman theme, complete with a fierce braid and gilded head piece. Erin drew inspiration from Gal Gadot's performance in the 2017 Wonder Woman film, which was a grittier and more sophisticated update to the classic DC comic. Of course, a Wonder Woman costume wouldn't be complete without a strapless bodice and gauntlets! The graphic pattern on their custom dress was printed onto a metallic sheen fabric using a technique called sublimation. It's a unique design element that really brought shine to the "shield" look of the bodice. The muted navy and burgundy/red colors are also a unique twist on that classic Wonder Woman look, and direct reference to the 2017 film. 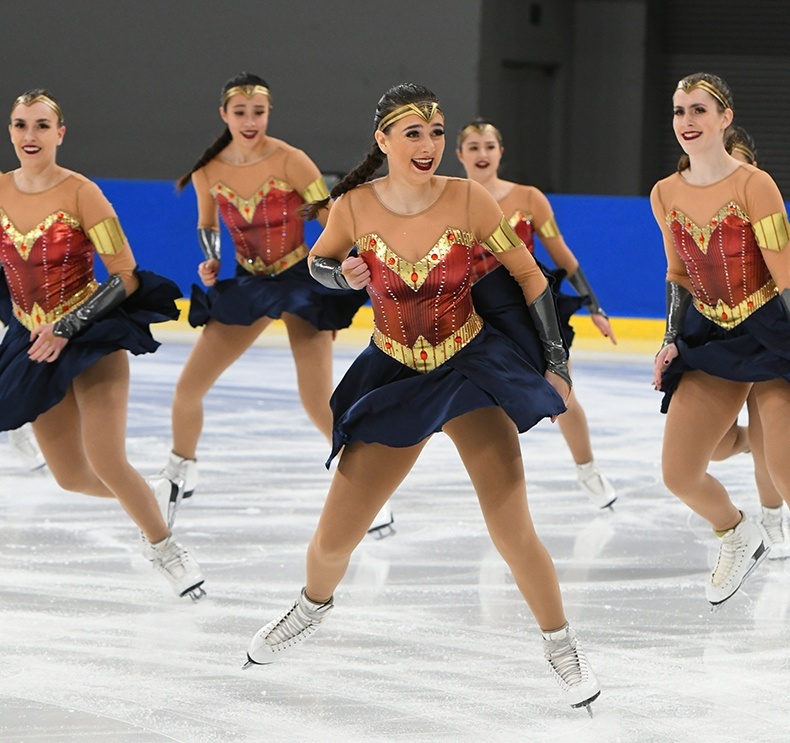 The music for the short program was the soundtrack to the Wonder Woman movie and the music for the long program was a compilation of Cher songs that spoke to the idea of strong women. Our team is unique in that we were the first synchronized skating team founded by Dr. Richard Porter in 1956. One of the best memories from the season was performing our long program in Neuchatel, Switzerland. This was our first international event of the season and the skaters really took on the character of Cher and took the ice with so much confidence and attitude. It felt great to skate clean and earn the bronze medal for our country. Seeing the American flag raised during the awards ceremony made it extra special. We had quite the travel schedule this season. We went from Michigan to California, Canada, Switzerland, Scotland, and Oregon to compete. Travel made for a challenge with our training schedule. The opportunity to share our programs with so many people and inspire women around the world to be strong and believe in themselves was very special and something we will never forget.